The Government today announced key results from its better regulation programme. 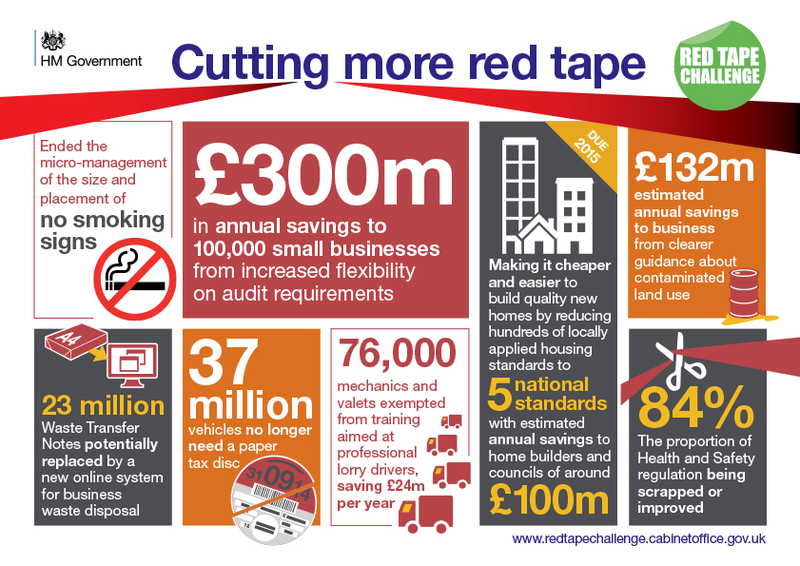 The infographic above highlights some of the key results from the Red Tape Challenge. We have produced a list of the regulations that are being scrapped or improved for download, showing what each regulation does, how it will be improved or why it is being scrapped. Detailed pages updating the regulations scrapped, improved or kept per theme are also available.